Welcome back to Frusterio Design Blog! 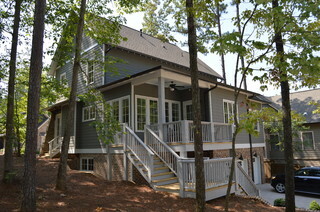 Today we want to take you on a tour of one of our most recent completed home designs. This home is located in a natural setting amongst trees and wildlife. 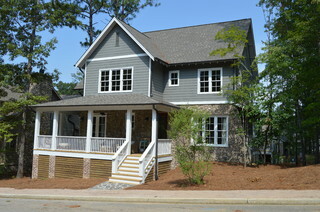 Transitional Exterior by Birmingham Architects & Building Designers Frusterio Design, Inc. The home features an open floor plan with natural flow from room to room. 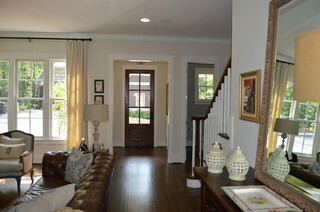 Transitional Entry by Birmingham Architects & Building Designers Frusterio Design, Inc. Transitional Kitchen by Birmingham Architects & Building Designers Frusterio Design, Inc.
Lovely outdoor spaces add to the unique southern charm of this home. 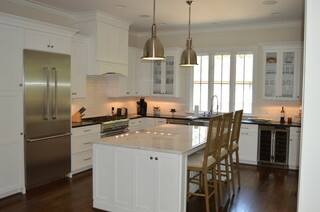 For even more photos check out our Houzz Page! Thanks for reading. What a beautiful home! The colors make it look right at home in the foresty area it’s in.